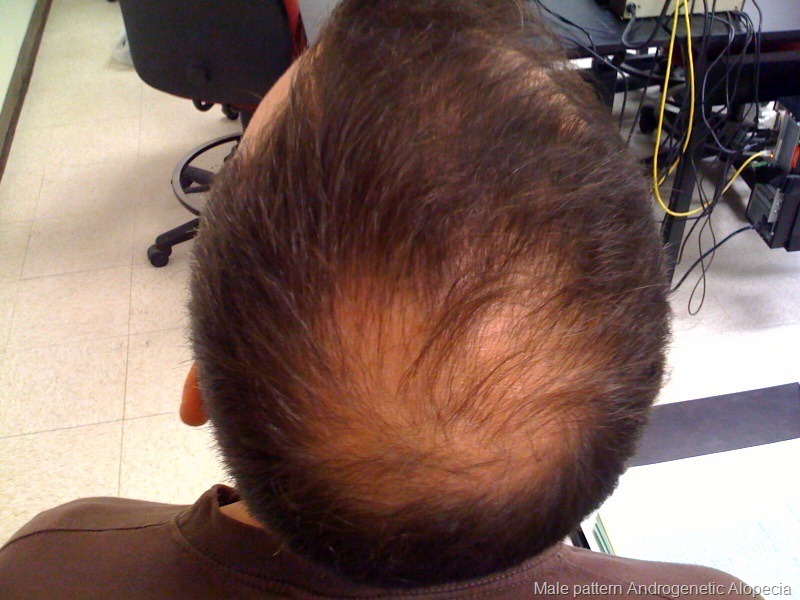 Hair loss – what are the causes? I am going to describe how a dermatologist will approach a patient with the problem of hair loss. The first step is to decide if the hair loss is accompanied by inflammation and scarring of the scalp. The signs of inflammation are redness and scaling and the tell tale sign of scarring is destruction of the hair follicle itself. Most hair loss problems can therefore be divided into scarring hair loss (alopecia) and non scarring alopecia. In the case of scarring alopecia a scalp biopsy will most likely be required to diagnose the cause of the scarring alopecia. A biopsy is a small surgical procedure where a 3-5mm piece of skin is removed from the scalp and 1 or 2 sutures are inserted to close the little wound. 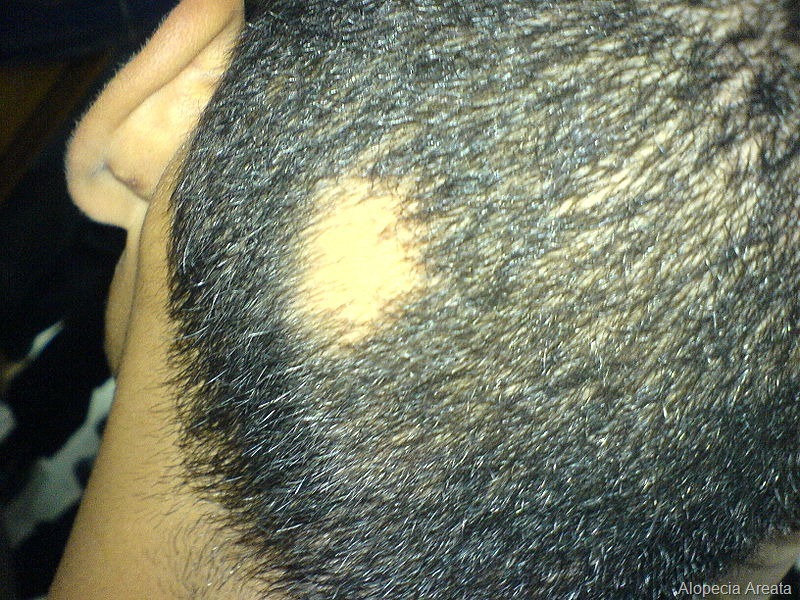 In the case of non-scarring alopecia further subdivision of the non-scarring alopecia is based on the distribution of the hair loss on the scalp. If the hair loss occurs in round isolated patches, Alopecia Areata is the most likely diagnosis. If the hair loss occurs diffusely over the whole scalp, Telogen Effluvium is the most likely diagnosis. 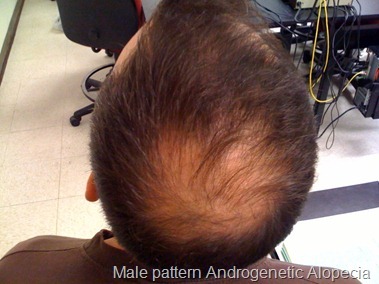 If the hair loss occurs in the classic male pattern baldness or equivalent female pattern baldness distribution, Androgenetic Alopecia is the most likely diagnosis. Although there are other, less common patterns, the vast majority of hair loss cases will follow one of the above patterns. I will post articles about the specific hair loss patterns in future.